Forms are popular in schools for all sorts of reasons. Some teachers look no further than Google Forms but for those who require greater simplicity and sophistication in a form builder, as well as agility and rigor, free JotForm (premium edition also available) is an excellent option. It works on PCs, Macs, and mobile devices and offers what seems like an endless supply of professional-looking templates for tasks like performance evaluations, permission slips, volunteer sign-ups, feedback on events, asking for donations, collecting payments, providing contact information, and more. Its drag-and-drop interface makes building forms intuitive, quick, and easy. And the completed form can be pushed out via link, embed, or email. Here’s my review if you’re looking for more details. If you already use JotForm, here’s some great news: JotForm has kicked it up a notch by offering a free PDF editor. Every teacher I know must edit a PDF at some time in the school year. Maybe they want to customize an existing PDF for use in their class, or a form they created requires that sort of versatility. PDF Readers are common (like Adobe Reader) but editing one is trickier. If President Trump’s campaign chairman Paul Manafort had one, it would have changed his life dramatically (click the link to read more of this story–and thanks to the JotForm folks for pointing this out to me). Many school documents are shared in PDF format for ease of use on multiple platforms as well as security from being hacked or edited. The biggest reason by far why my colleagues require a PDF editor is that too often, the underlying document is lost and the teacher has nothing left but the PDF. That’s when a PDF editor becomes critical. 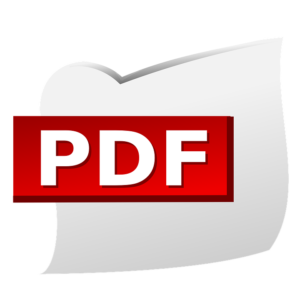 Click here for JotForms’ Complete Guide to Editing PDFs. JotForm’s PDF Editor is an appealing addition to the suite of forms-creation tools already offered by JotForm. It allows educators to build a PDF form from scratch or turn an existing form into an editable PDF. The process is quick and easy and requires no special skills. From scratch: Teachers select a template and use the same drag-and-drop features they’re familiar with in JotForm. For existing forms: Open the form and work on it through the PDF editor. Either way, users can add fields, text, formatting, customize colors and branding, and print, share, embed, or download the completed document. Go to My Forms after logging into JotForm. Select the form you want to work with and then select Submissions. If you like the form as is, select the PDF icon (on the left) and click Download PDF. If you want to edit the form, select Customize PDF. Customize your form by text, images, formatting, fields, and more. Copy-paste the code (called ‘source code’) into your website, blog, or another online account that accepts embeds. Even if you created the form in Google Forms, it can be imported into JotForm and then pushed out as a PDF. Whether you already have a JotForm account or are new to JotForm, you’ll love this easy and quick way to create PDFs.